Mobility outside the area of Tor Vergata | AIC PROGETTI S.P.A. The project concerned the mobility of more than 1,500,000 pilgrims, their assignments to different transport means and to different itineraries to reach the area of Tor Vergata and the subsequent departure. 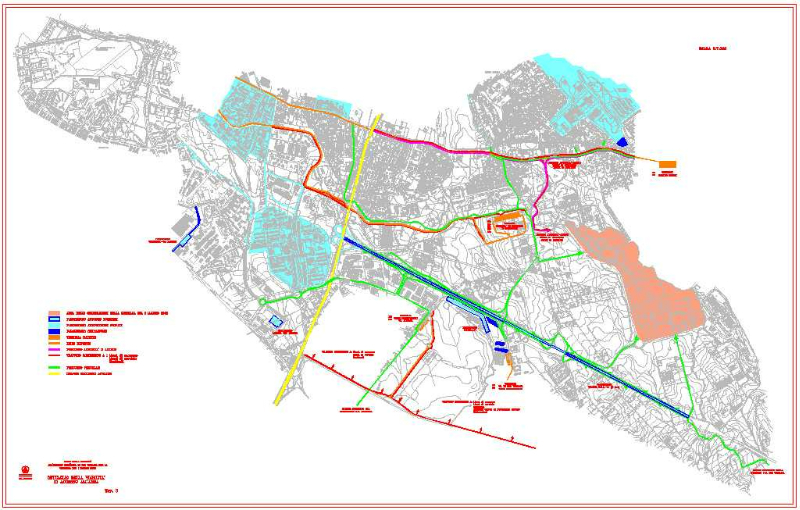 Feasibility study, preliminary design of 54 areas to be used as temporary parking areas for tourist buses. Surveys and search of parking areas in the province of Rome, graphic elaboration, economic analysis of feasibility costs. Study and design of pedestrian mobility and railway public transport.